Have you ever found yourself with sweaty hands before a job interview? Or felt your heart pounding when the promotion list is about to be announced in your office? That feeling is what stress is and each of us, to a certain level, face it on a day-to-day basis. It can be said that stress is a feeling of being under too much mental and physical pressure. When you are unable to cope with this pressure it turns into stress. Stress can affect how you think, feel and also behave. Not only that, even your body functions are affected by this. When stress starts interfering with your daily lifestyle, it takes a serious turn. Even short-term and sudden stresses like anger are capable of triggering arrhythmias (irregular heartbeats), heart attacks and even death. Moreover, the stress hormone in your body can affect your glucose level directly. The blood sugar level usually increases in people who have diabetes when the body is under physical stress. That is why it is imperative that you take measures to control your stress before it is too late. Reducing your stress level will not only offer you momentary relief but also protect your body in the long term. Identify the Source of Your Stress– Try to keep a track on what you are thinking throughout the day and try to identify what are the causes of your stress. It is better to write down the cause and your thoughts then and there. Devise a plan to address it once you know what is bothering you. This may mean asking for help at work, in household responsibilities and setting more reasonable expectations of yourself. Enlist your priorities and commitments and do away with any task that is not essential. Take a Walk When You Are Angry – Take time to assimilate your thoughts by counting to 10 before reacting. Then try to reconsider the situation. Any kind of physical activities like walking can help you to cool down. Moreover, endorphins which is your body’s energy-booster hormone is also secreted when you work out or exercise. That is why you should try to exercise or take a walk on a daily basis. This is a small start to something more positive. Be an Optimist – Think positively and try to take pleasure in your daily work and interactions. It has been seen through research that optimists and pessimists face the same situation but the optimists cope with these in a better manner. Think of at least 3 things that you are grateful for, each day, whenever you feel stressed. This will help you to keep some perspective. Laugh More – Research has revealed that humour can help you to recover from surgeries and ailments. That is why laughing is essential to boost your mind. Your mood can be uplifted by the very act of smiling. Endorphins are released by laughter that enhances your mood. Humour gives you back your power and helps you to assess things differently. 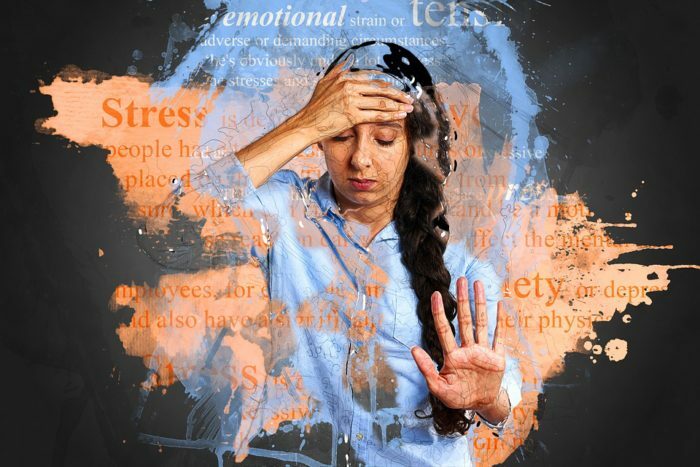 Get Help – If you still feel overwhelmed with stress, it is advisable that you seek the help of a medical professional who will help you with the situation and guide you to come out of it before it is too late. The above are some of the ways that you can try to reduce your stress. Your mental health plays a crucial role in your overall wellbeing. It is not enough to get your medicines on time for a patient with cardiac disorder and checking with a quality glucometer that you got at the best glucometer price for a diabetic. Maintaining a low-stress level is also imperative in order to lead a healthy and happy life, today. So don’t neglect it. Disclaimer: The image has been submitted by the author. Stress in Teenagers- How to Help?